This Ghajnsielem hotel is on the beach, 0.1 mi (0.2 km) from Blue Lagoon, and within 12 mi (20 km) of Azure Window Ruins and San Anton School. Where to find Comino hotels near an airport? Where can I find hotels in Comino that are near tourist attractions? Visiting Comino? There's a wide selection of hotels and apartments from which to choose. If you would like to stay within 0.1 kilometres (0.06 miles) of the heart of Comino, Expedia's hotel database lists 83 hotels and apartments in that area. 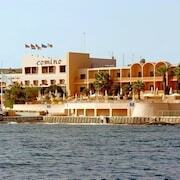 A terrific option if you would like to stay near the downtown of Comino, is the Comino Hotel. 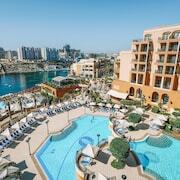 The Comino Hotel and Gozo Windmill Apartments are both located near the Blue Lagoon. 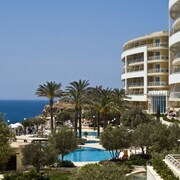 The Comino Hotel is 0.4 kilometres (0.2 miles) away and the Gozo Windmill Apartments is 3 kilometres (2 miles) away. 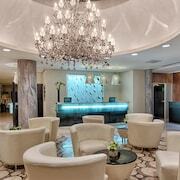 You could try the Palazzo Capua or the The Xara Palace Relais & Chateaux. The Palazzo Capua is situated 19 kilometres (12 miles) away from the main part of Comino. 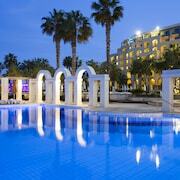 The The Xara Palace Relais & Chateaux, is positioned 15 kilometres (10 miles) away. 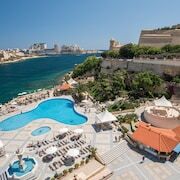 Some more hotel and apartment options worth checking out include the Hilton Malta and the The Westin Dragonara Resort, Malta. Looking for more to do? Spend a few hours exploring Malta Falconry Centre and Limestone Heritage Park & Gardens, in Siggiewi, 20 kilometres (12 miles) to the southeast of Comino. The Point de Vue and Estrella Lodging are some of the Expedia-recommended accommodation alternatives in Siggiewi. 25 kilometres (17 miles) to the southeast of Comino, you'll find Birzebbuga, which is home to the Water's Edge and Sensi Hotel. Regardless of whether you're passing through or spending a few nights in Birzebbuga, set aside a little time to check out the Ghar Dalam and Għar Ħasan Cave. If watching sport is a favourite pastime, head to Starfish Diving, which is 17 kilometres (10 miles) to the southeast of Comino. 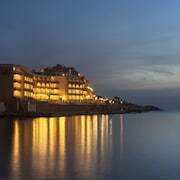 For those who are interested in staying nearby, make a reservation in the Fortina Spa Resort or Radisson Blu Resort, Malta St. Julian's. Situated 25 kilometres (14 miles) away from Comino is Ioannis Daskalogiannis Airport. Stay nearby at Villa Del Porto or Reno's Restaurant & Guesthouse. 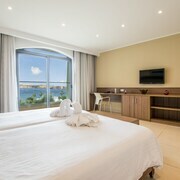 What are the most popular Comino hotels? Are there hotels in other cities near Comino? What other types of accommodations are available in Comino? Explore Comino with Expedia.ca’s Travel Guides to find the best flights, cars, holiday packages and more!